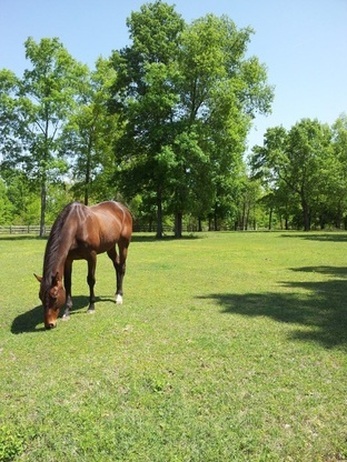 From snowy fields to greener pastures, HorseDream Canada is heading south this winter for special Art of Leadership offerings in the Augusta, Georgia and North Port, Florida areas. Working with horses is a compelling way to rapidly perfect your leadership abilities, learn new communication strategies and find your way back to your roots as a conscious human being and business person. World leaders in organizational management have found that consciousness in business is the key to “sustainable exceptional performance” and “organizational greatness” (Kofman, 2006; Wilber, 2007). Working with horses, you will focus on how and who you are as a leader. We work with the really important elements of leadership: clarity of purpose, awareness, belief, confidence and charisma. Learn more. We remember 50 percent of what we see and hear. Fortunately we remember 90 percent of what we actually do. Active participation trumps passive instructional training. Participation in The Art of Leadership creates endless learning moments that are truly memorable. Leaders in the business, public, and charitable sectors who are seeking to enhance their professional leadership skills. Learn more about why horses are the best leadership trainers here. 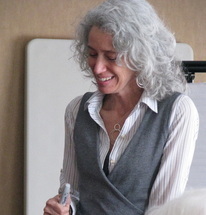 The Art of Leadership training works best in an intimate setting. We enroll no more than 12 participants per session. Register early to secure your spot. Payment Process: Checks should be made payable to our U.S. host, "Jessica Best". HorseDream International is a German-based global working company founded in 1996 by Gerhard and Karin Krebs. HorseDream is a globally renowned brand with more than 200 Licensed Partners around the world. HorseDream provides a Horse Assisted Education Program that focuses on Leadership, Horses, and the Power of Horse Sense. HorseDream International is the initiator and founding member of the European Association for Horse Assisted Education (EAHAE). Susan is also a member of the EAHAE. Horse Assisted Education has been popular for nearly two decades in Europe. It has expanded over the past decade at a global level, working with companies, organizations and industries of all levels. HorseDream clients include Microsoft, Shell, Hewlett & Packard, Johnson & Johnson, Nokia and more. 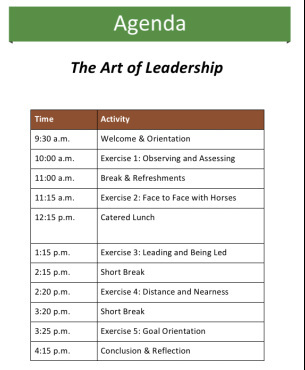 Why is HorseDream Canada offering The Art of Leadership in the U.S.? Cold winters are not much fun! Horses are bundled under thick winter blankets, cold winds and blowing snow make it hard to get to the stable, and humans shudder at the idea of leaving a warm house. As a result, all horse-related business activities on the Ranch close from December to April. But why should the HorseDream fun stop just because it gets cold in Canada? In recent years, Susan Wilson has been heading to North Port, FL every winter to keep warm. Similarly, Susan's daughter, Leah now lives in sunny Augusta, GA, and boards her horse at a beautiful establishment in the area. When planning for 2014 HorseDream Canada events, they thought it would be a great time to offer a one of a kind leadership development opportunity to their colleagues, friends, and others in the sunny U.S. of A! Participants are required to sign a waiver that acknowledges you understand the risks associated with interacting with horses and requests permission to use your likeness in HorseDream Canada promotional materials. Please also note that HorseDream Canada events take place on horse farms where a variety of animals may be present, including but not limited to horses, dogs, goats, cats, pigs and cattle. Please drive carefully when approaching, entering, and exiting the farm to keep our animals safe.